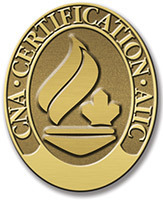 write a minimum of 250 words write about what being a certified PeriAnesthesia nurse means to you, and how you plan to promote, contribute, enhance or improve PeriAnesthesia nursing practice in your workplace. Winner of the bursary will be identified in The Monitor newsletter, along with your written submission. Please complete the form below, or download, print and fill it in, then submit it to along with a forward of your dated CNA confirmation email or letter.